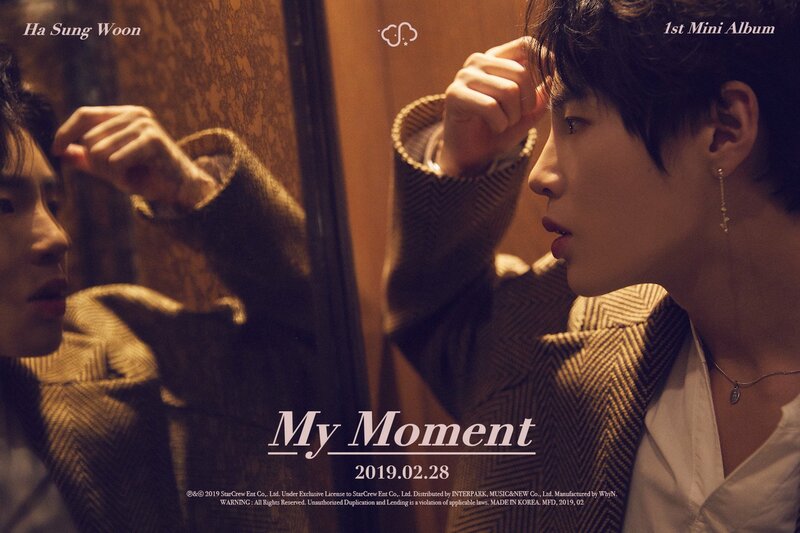 Ha Sungwoon has released a series of teasers announcing his solo debut with ‘My Moment‘. Check it out below! His official colours are: cosmic sky, forever blue and cloud cream. The last colour especially fits him because his symbol is a cloud, which Wannables knew him as. 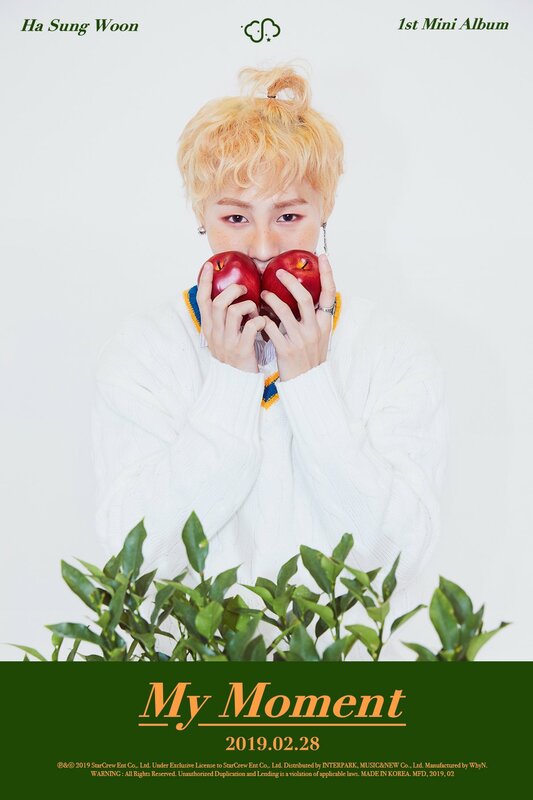 Soon, he will release a track list, two MV teasers, and highlight medley. 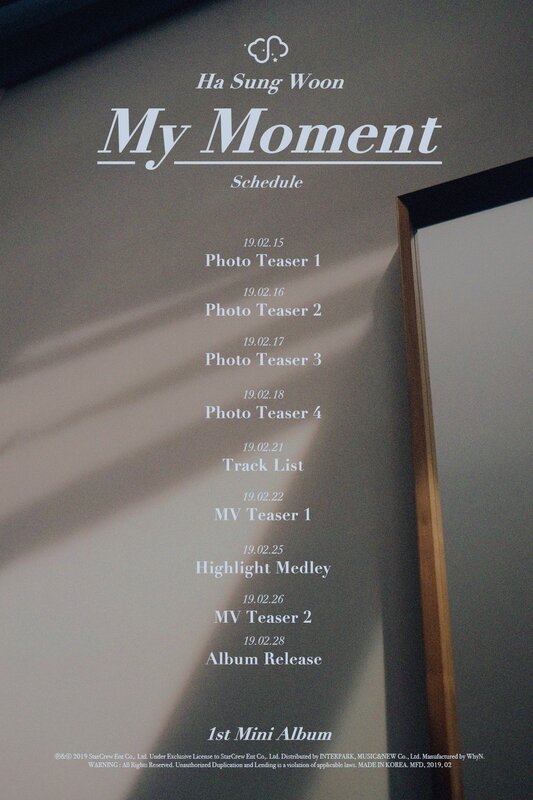 ‘My Moment‘ has two versions: ‘Daily‘ and ‘Dream‘. The ‘Daily‘ version is more serious while ‘Dream‘ is more playful. These versions will show completely different sides of Sungwoon, which show how versatile he is. Sungwoon will travel around Asia for his first fanmeeting tour to support this release. Since Wanna One disbanded, he released a pre-debut track ‘Don’t Forget‘ with his former group mate Park Jihoon. Fans were delighted to discover that the Wanna One members were still collaborating. 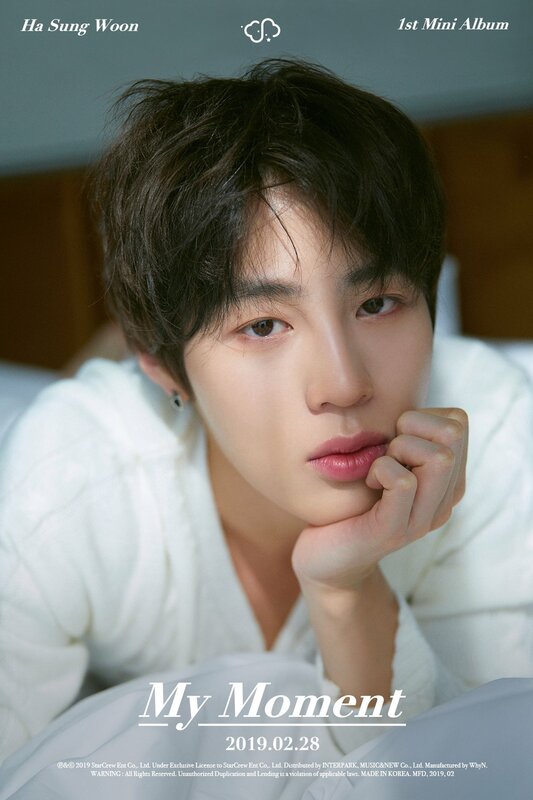 Sungwoon is going to return to his original group Hotshot and participate in their next comeback. Stay tuned! What do you think of Sungwoon‘s teasers for ‘My Moment‘ so far? Let us know in the comments below.